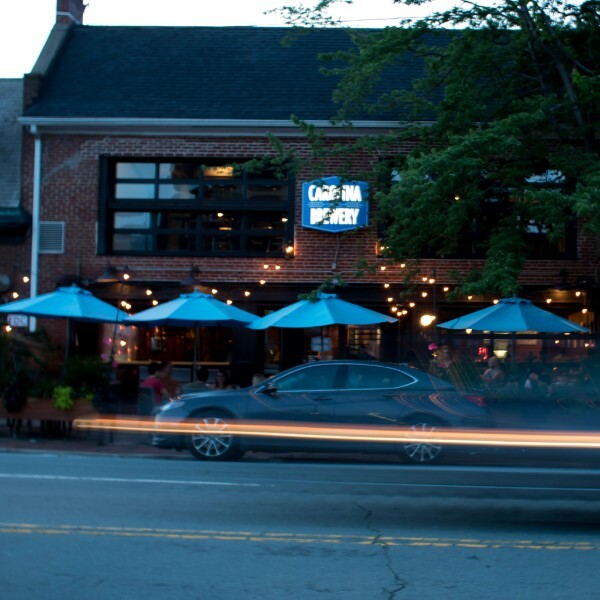 The Chapel Hill Downtown Partnership is happy to offer grants to Downtown Chapel Hill businesses to help cover the cost of storefront improvements, sidewalk dining furniture, or paint to touch up unsightly graffiti. Bike fix-it station at The Bicycle Chain, 210 W. Franklin St.
Sidewalk dining furniture for Benny Cappella's, 122 E. Franklin St. Valet on the West End! 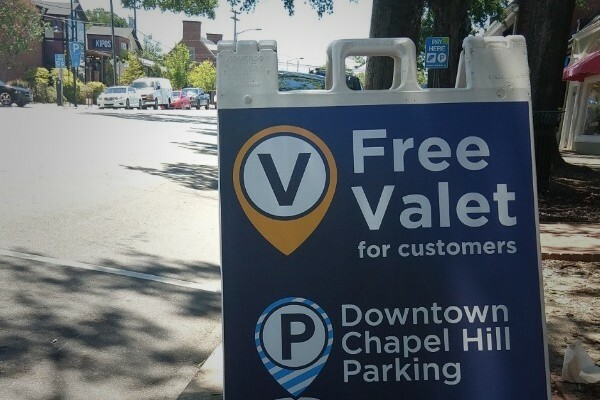 Enjoy Downtown Chapel Hill with the ease of FREE valet parking from several participating Franklin Street businesses! All other West End visitors are welcome to use the valet service for a $8.00 charge. Valet is free for customers at participating businesses! The Chapel Hill Downtown Partnership recently commissioned two guides with tips and suggestions for your business. Have you seen them yet?